If you haven't already check out On a Cruz' then you must, it's such an awesome blog written by an effortlessly stylish lady. A little while ago, she suggested that I draw Olivia from The Cosby Show which I thought was a super unique suggestion, however I thought it might be even funner to draw her instead! 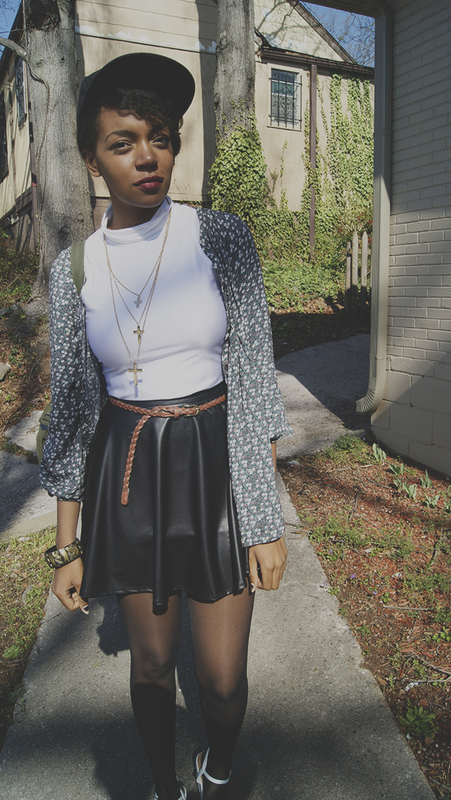 Anyway, here is the photo that I used for inspiration, I love everything about this outfit. And here is the illustration I came up with! I really enjoyed drawing this piece, it's definitely one of my favourites from recent months. Let me know what you think! This is really lovely, I especially like the background you've chosen! Waah, that's amazing! You've got such mad skillz C.
Let's follow each other? I'm following you! 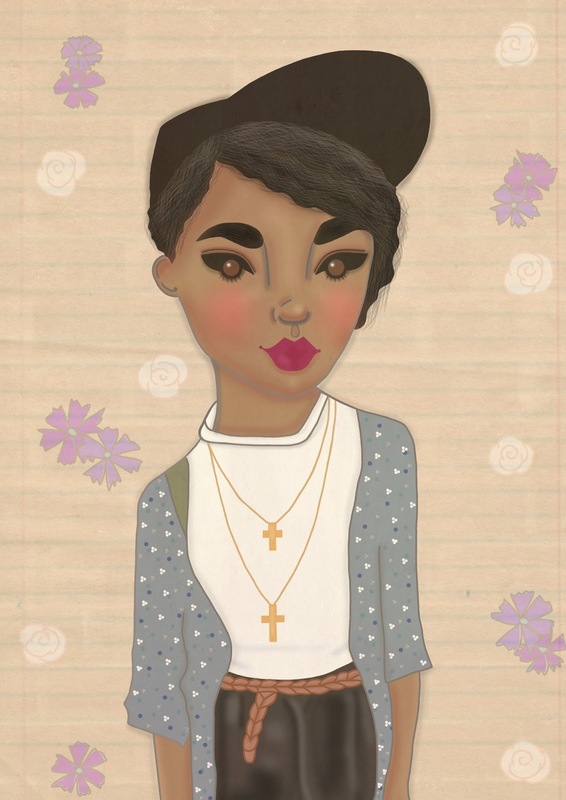 Artists who inspire me: Danny Roberts. Gem Fatale and Roxy Cat! Jade of The Style Rawr! A lovely gift from Marta. Treats from Mina all for £15. Ropes that hold you down.